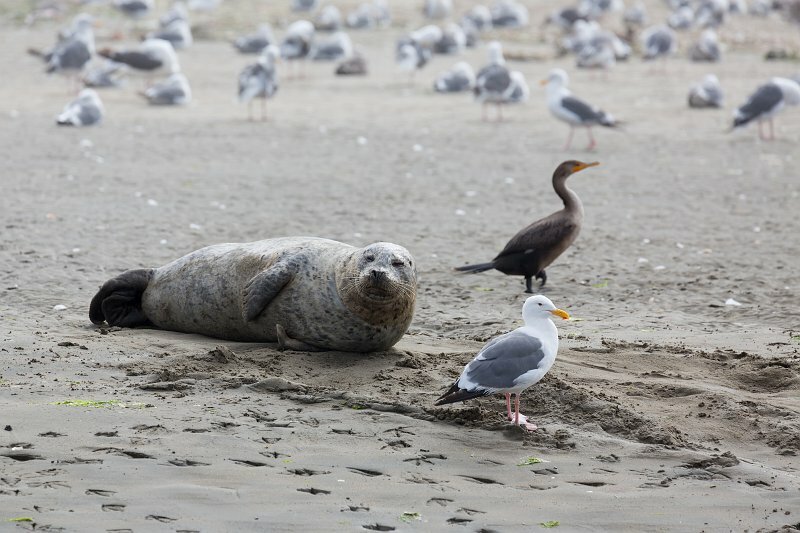 Harbor seals stick to familiar resting spots or haulout sites, generally rocky areas (although ice, sand and mud may also be used) where they are protected from adverse weather conditions and predation, near a foraging area. Females bear a single pup, which they care for alone. Pups are able to swim and dive within hours of birth, developing quickly on their mothers' fat-rich milk. Blubber under their skins helps to maintain body temperature.